Christmas is the happiest day for most us since this is the time when families and friends sit next to each other, enjoy sumptuous meals, exchange gifts, and talk about anything under the sun until the clock strikes 5 a.m. of December 25th. This season, however, is putting a lot of financial burden for people who are living on a tight or shoestring budget. You should never compromise your savings for the next 12 months for a one-day celebration. It is always a season of giving, not for overspending. 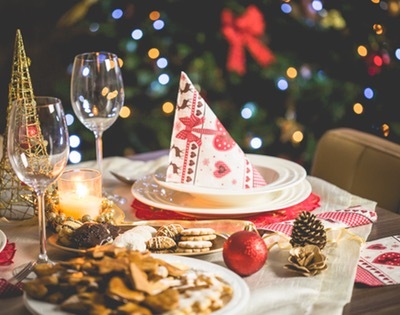 There are ample of ways you can trim down the expenses for a stress-free holiday celebration. Christmas will never be complete without PRESENTS! Kids have been good for 12 months straight, so Santa will notice their good deeds and drop his presents underneath the Christmas tree. 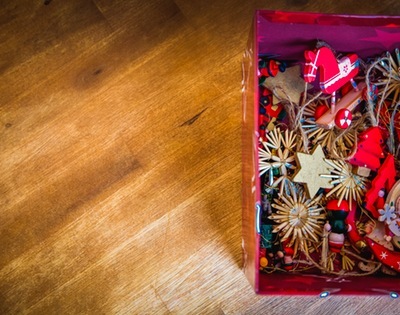 Unused, old stuff can be sold anytime to help you generate money for Christmas. You can post these items on websites such as eBay, Amazon, Facebook groups, and local forums. You can also consider having a garage sale. Don’t just shop for yourself. Grab those discounted products on Black Friday and Cyber Monday for your Christmas shopping. A lot of malls and groceries are on sale and are giving away promos before Christmas. Some companies give generous deals when you shop online. There’s a free shipping to your home or your recipient’s home. Some companies are also offering free gift wrapping where you can choose the gift wrapper and tags. The ecommerce giant’s challenge for customers is to find hidden gift discounts. These discounts can slash the costs for your gifts. Take a good look at your unused vouchers. If the voucher is transferable, you can send this a gift to a friend or loved one. Your loyalty card might have bumped up some points and can be converted into cash or gift. Why not grab those deals? Otherwise, if you love baking or simply spending time in the kitchen, then there are lots of homemade treats you can send out to friends and loved ones. Everyone wants to be extra generous and extravagant this time of the year. Nevertheless, you need not overspend on foods to serve for Christmas dinner. Your family will definitely enjoy those sumptuous meals, but they don’t want to see you cry over those expenses. You have to buy the right portion, so you’ll limit the amount of unwanted leftovers. Make sure to get a head count of the number of guests who are sure to come to your home. The number of people coming will help you plan out how much food you’re going to prepare. Don’t buy too much for your guests, or else, be prepared for a disaster inside your fridge! Have you heard of the most expensive Christmas dinner prepared by a London chef? Even if you’re a millionaire, you need not spend an eye-popping $200,000 for a Christmas meal. A memorable Christmas dinner isn’t about the roasted turkey, the stuffed lamb, or the simple beef skewers. It’s about the good conversations and happiness exuding in the eyes of your loved ones. Don’t be afraid to ask your family members for their share on the meal expenses. You can decide either for you to shoulder 50 percent of the expenses and split the remaining with the rest of the family members, or divide the overall meal expenses with other family members. A Christmas dinner for a huge, extended family will be expensive and burdensome for the person who will cover the entire costs. If you wanted to bring in more close relatives and friends to your home on Christmas, you can ask and have them agree on a potluck party. Of course, you have to assure them that they don’t have to stress themselves on the food they are going to share. There are hundreds of potluck food ideas you and your guests can try out there. Maybe you’ve watched HGTV’s Christmas decorating episodes and got blown away with those dazzling holiday decorating ideas. Just like fashion, you’ll see a different trend and set of new colors. A few months before the holiday, most thrift shops are teeming with secondhand Christmas decors. A lot of used and refurbished Christmas decorations are sold half of their original prices. From stockings to all sorts of Christmas tree ornaments, you can bargain at a price you didn’t imagine had you bought them from malls and specialty stores. What’s wrong with reusing the old ornaments you had last year? Make sure to visit the attic or storage room to find these precious ornaments you’ve kept for several months. Don’t throw away old Christmas decorations just because you decided to update the theme of your motif this year. You’re a few clicks away to selling used Christmas centerpieces, designs, and ornaments via eBay, Amazon, and local sites. You can also exchange items with friends or neighbors. It’s time to show off your creativity with do-it-yourself home decors. You can find hundreds of Pinterest Chrismas home decor ideas and cool Christmas decorations using natural items from DIY bloggers.